Carlton House was the London residence of George IV from 1783 to 1826. He spent an exorbitant amount of money remodelling and refurnishing it, but after becoming King, he decided it was inadequate for his needs. 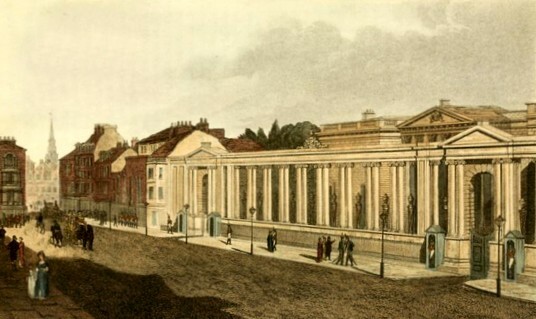 George moved out in 1826 and Carlton House was demolished to make way for an exclusive housing development which still stands on Carlton House Terrace today. 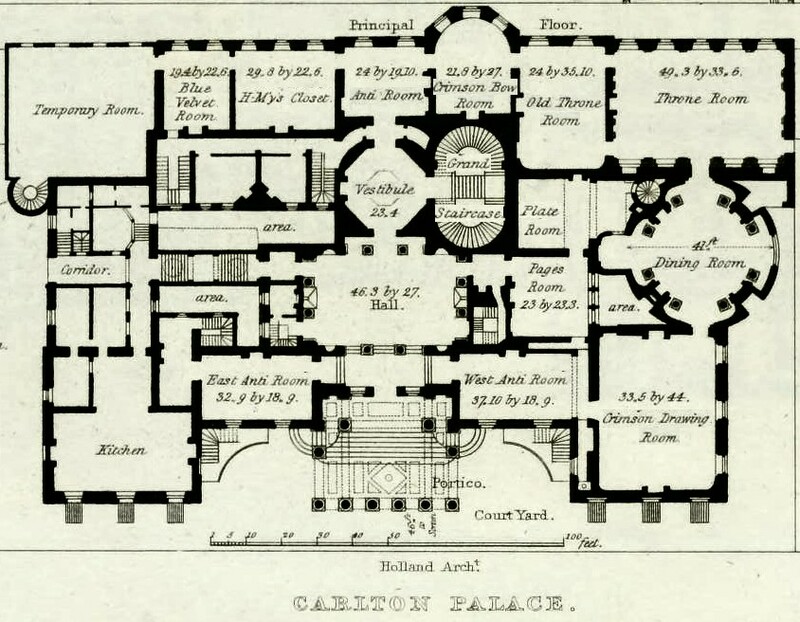 Carlton House derived its name from Henry Boyle, Baron Carleton, who owned the property in the early 18th century. 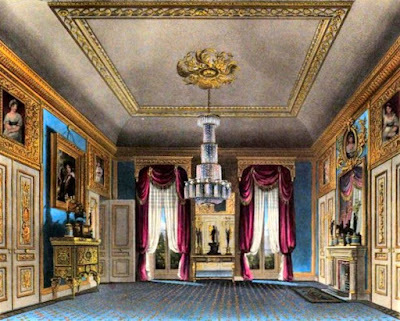 (1) The house passed to the family of the 3rd Earl of Burlington, and was then sold to Frederick, Prince of Wales, George III’s father. 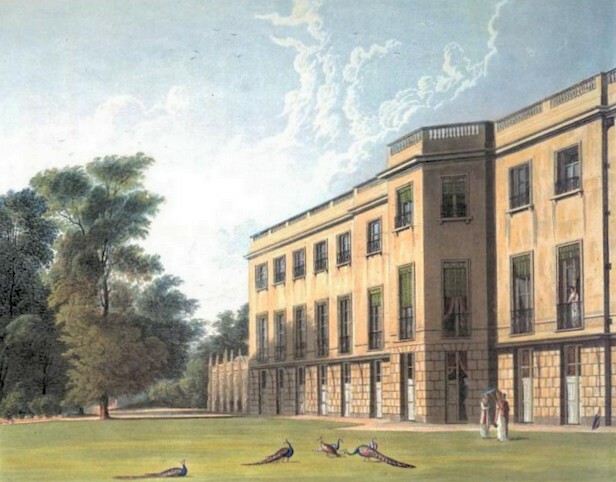 After the death of Frederick’s widow, Princess Augusta, in 1772, the house stood vacant. 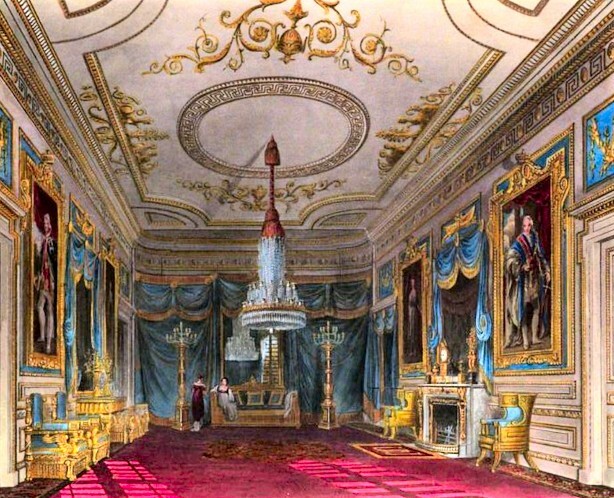 In 1783, the future George IV came of age and he was given Carlton House in which to form his own household. 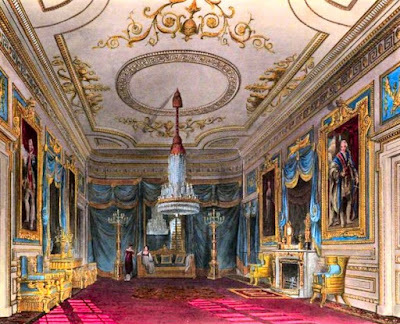 By this time, it was badly in need of renovation and George III obtained a grant from Parliament to make Carlton House a suitable residence for his son. 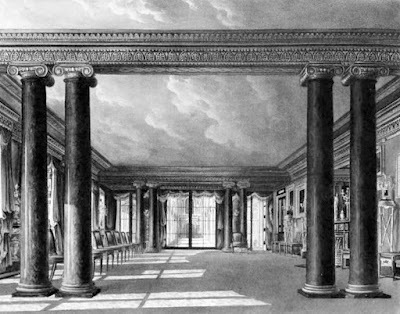 George employed the architect Henry Holland to remodel Carlton House. 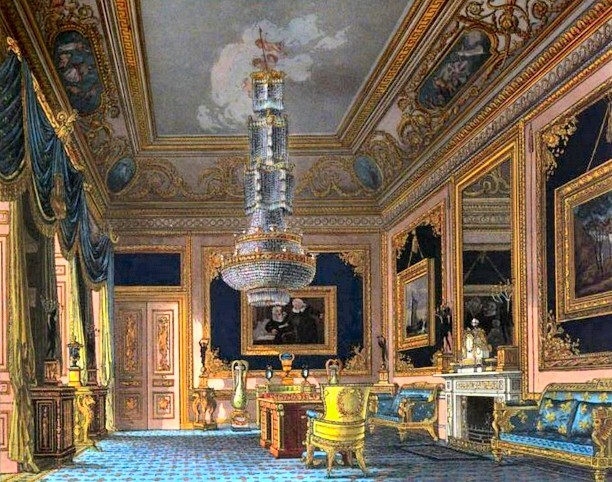 Unfortunately George’s extravagance reached legendary proportions. 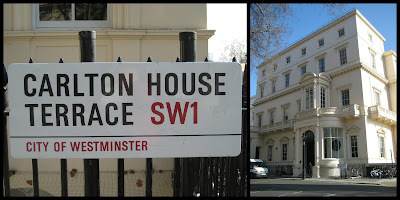 His expenditure was always far in excess of his funds and he ran up huge debts on this and other building projects. 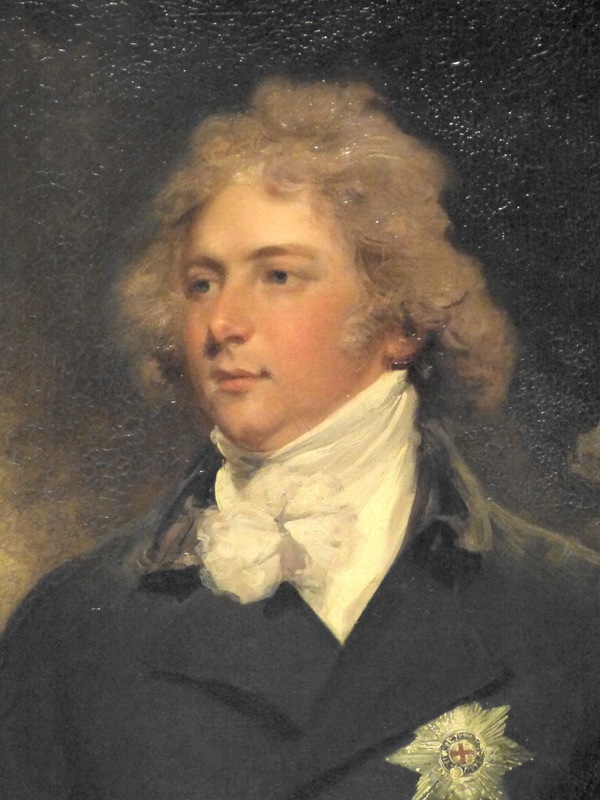 At one stage, he shut up Carlton House for a while in an effort to economise, but ultimately he was forced to get married in order to persuade Parliament to release more funds. 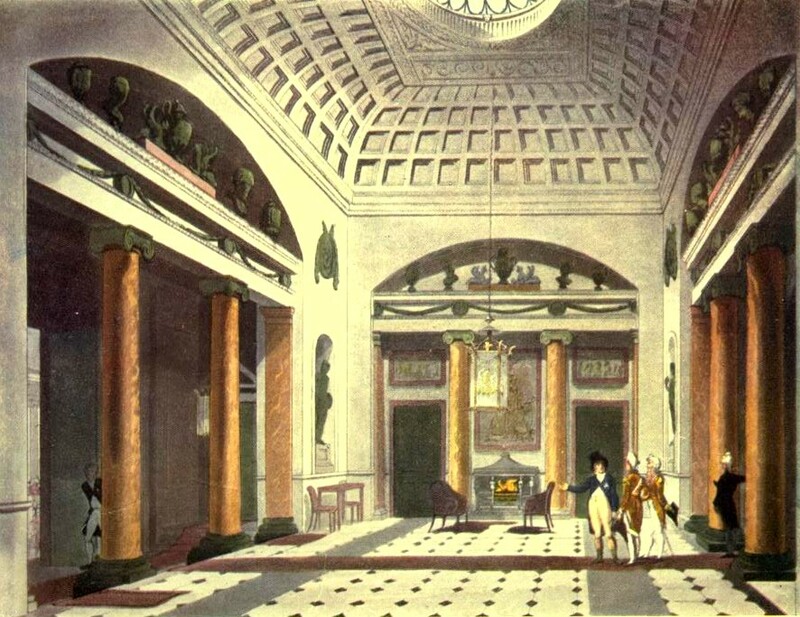 It is unlikely that Walpole would have approved of some of George’s later alterations! 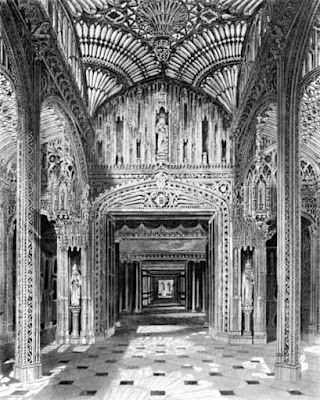 George’s building projects seemed to go on forever. 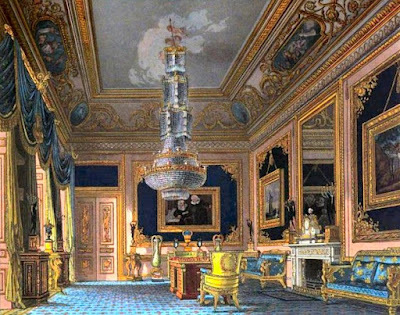 He was rarely satisfied with the final result for long and was continually remodelling Carlton House and redecorating the rooms. 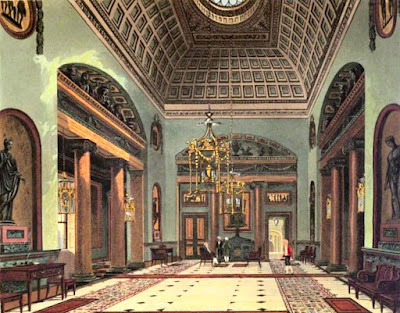 After Holland’s death, he employed a variety of other architects to help him realise his ever-changing vision. 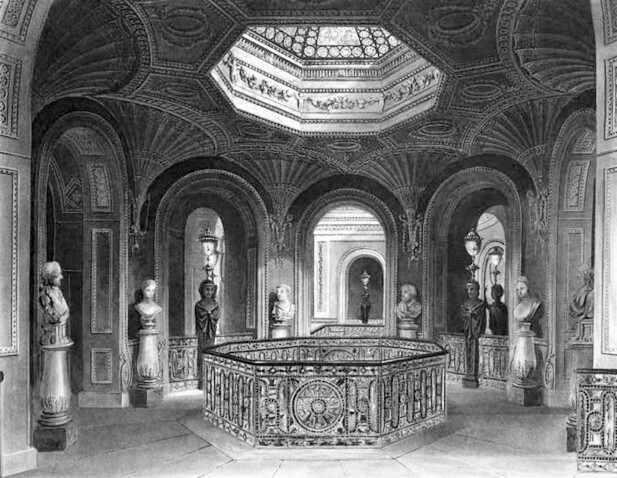 Thomas Hopper added the Gothic Conservatory, whilst James Wyatt and John Nash completely remodelled the basement storey. 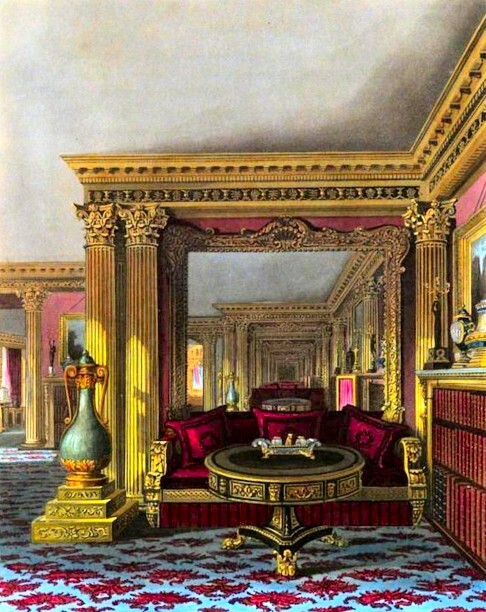 Edward Wyatt added carved and gilded doors whilst Walsh Porter, who had set himself up as a connoisseur, added sumptuous draperies, curtains and wall hangings. 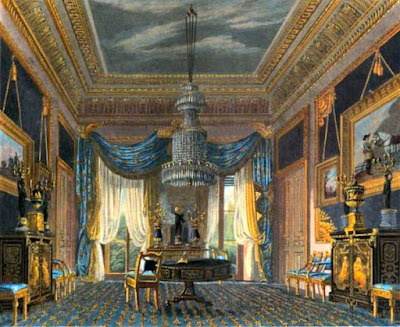 George held many magnificent entertainments at Carlton House, including a notable fête in June 1811 after becoming Regent. You can read about the fête here and the dreadful chaos of the public open days that followed here. 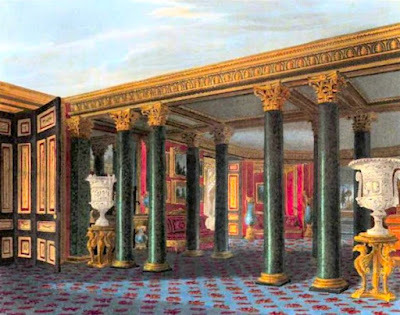 By 1815, George was losing interest in Carlton House. He no longer thought that it was grand enough for his residence and after his mother’s death in 1818 he announced his intention of moving to Buckingham House. 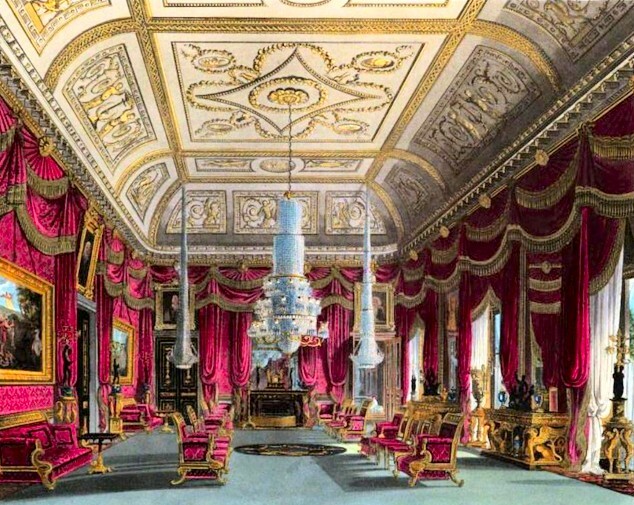 But of course, some work would have to be done in order to make it suitable. 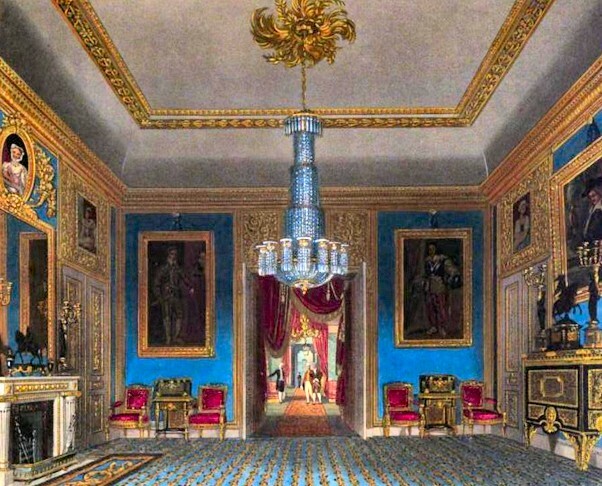 And of course, it wouldn’t be cheap. 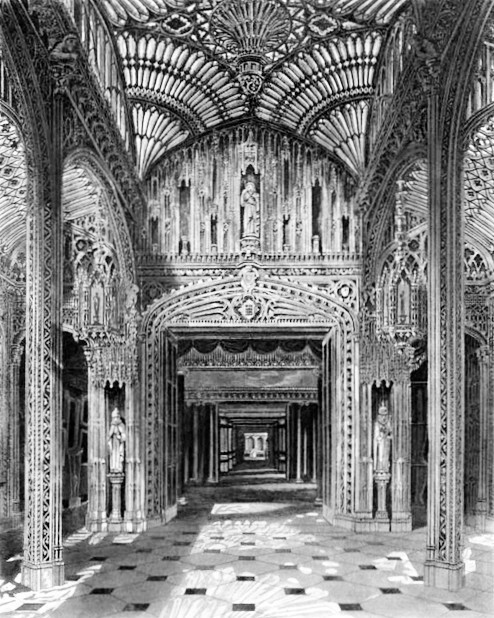 In an effort to raise money, he gave up Carlton House completely in 1826, stripping it of its furniture and fittings for reuse in Buckingham Palace and other royal residences. The house was demolished and superior housing erected on the appropriately named Carlton House Terrace. 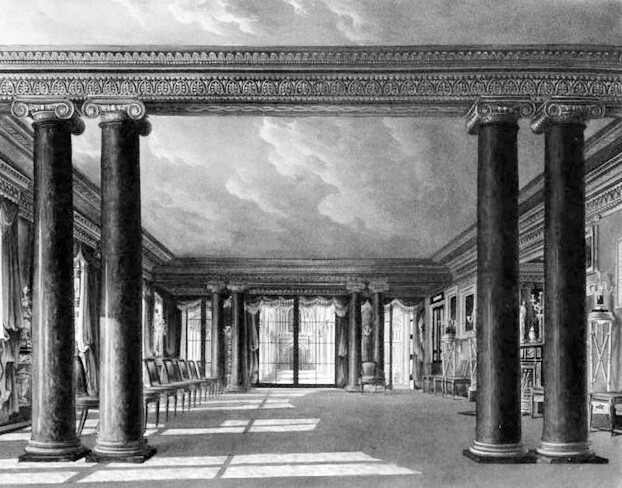 Captain Gronow described Carlton House as “one of the meanest and most ugly edifices that ever disfigured London, notwithstanding it was screened by a row of columns” (3), so perhaps he, at least, did not see it as such a great loss. 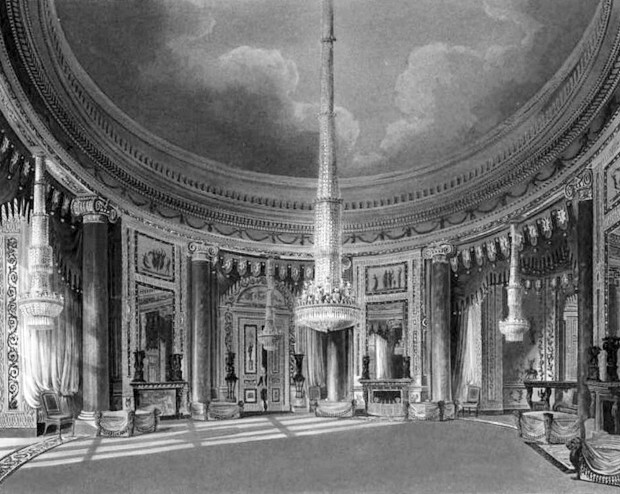 Although Carlton House no longer stands, fortunately, George IV liked to have pictures painted of his royal residences and many of the rooms are included in Pyne’s A History of the Royal Residences. 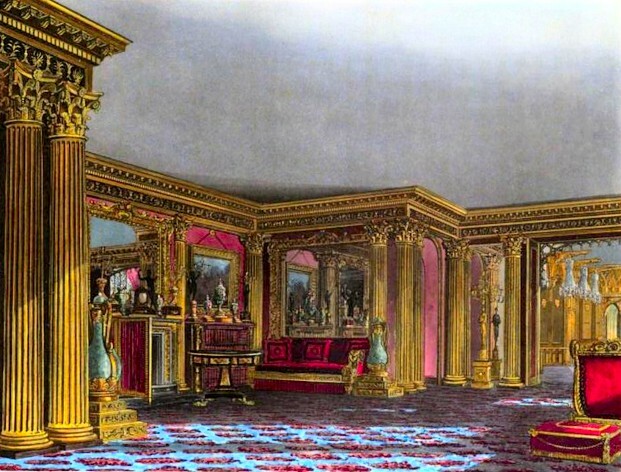 There is also a floor plan available. 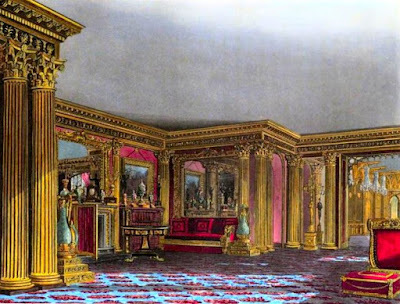 However, it is not always straight forward to match the descriptions with the rooms as George had a habit of changing their names when he redecorated! 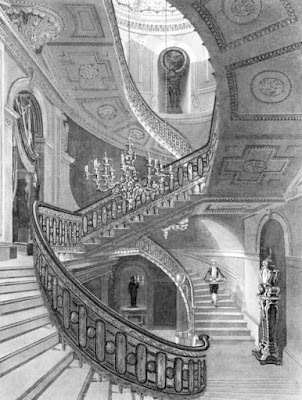 The Grand Staircase consisted of a flight of steps up to a landing place and then two further flights of steps which curved round up to the chamber floor. Below, a second staircase led to the lower suite of apartments. The State Apartments were on the principal floor and reached through the West Ante Room, on the right after entering through the portico from Pall Mall. 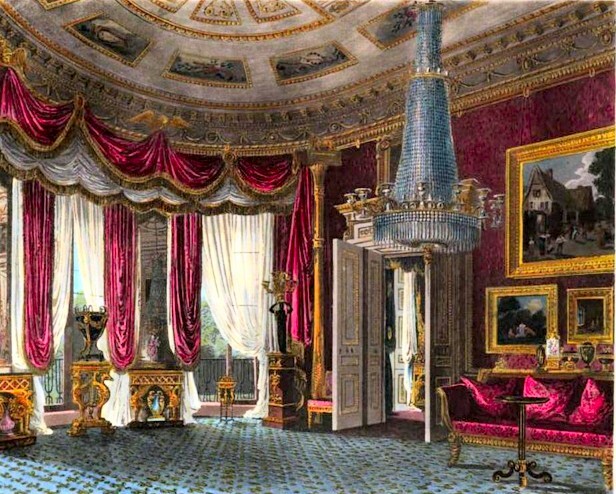 These consisted of the West Ante Room, the Crimson Drawing Room, the Circular Room and the Throne Room. This was a waiting room for people calling at Carlton House on business. This room derived its name from the festooned draperies of crimson satin damask that were suspended from the cornice and in the windows. At some stage, this room was clearly used as a dining room as it is labelled as such on the floor plan. These rooms were reached by walking through the Great Hall and the Octagonal Vestibule and consisted of the Ante Room, the Lesser Drawing Room and the Lesser Throne Room, which adjoined the Throne Room. This room was decorated partly in the Chinese style and contained the Table of the Great Commanders which is now normally on display at Buckingham Palace. 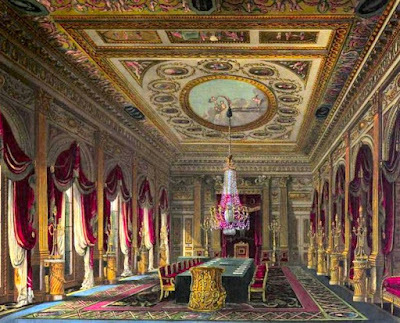 This room was the original throne room and contained portraits of George III and Queen Charlotte by Ramsay as well as portraits of the Prince Regent and the Duke of York. 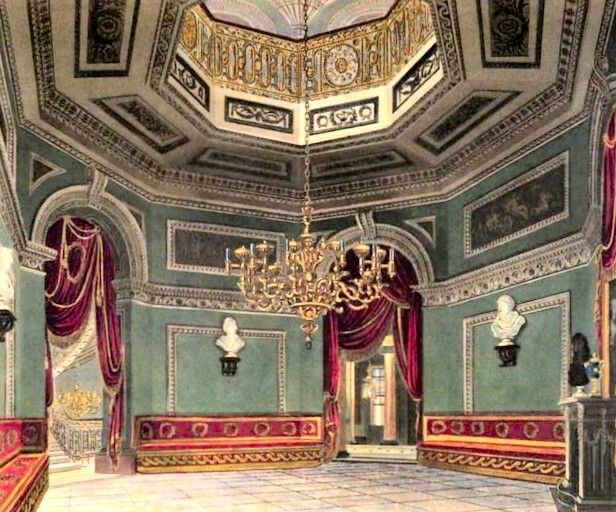 The Prince’s Private Rooms were situated on the left of the Ante Room and consisted of the Private Audience Chamber and Private Closet. 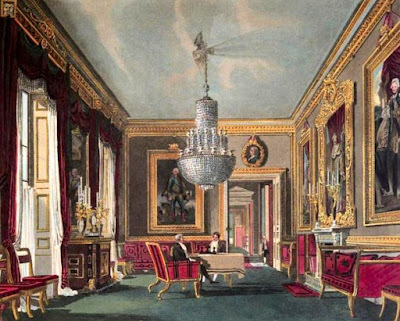 As the level of Pall Mall was higher than that of the gardens, there was a suite of apartments in the basement of the south front. The suite of rooms on the basement storey was reached by descending the lower part of the Grand Staircase and entering the Lower Vestibule or Ante Room. To the left of the Ante Room was the Library, the Golden Drawing Room and the Gothic Dining Room while to the right was the Bow Sitting Room, the Ante Room to the Dining Room, the Dining Room and the Conservatory. George’s librarian was Dr Stanier Clarke. 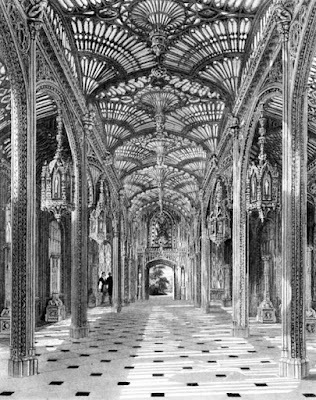 The conservatory was constructed in “the florid Gothic” style. 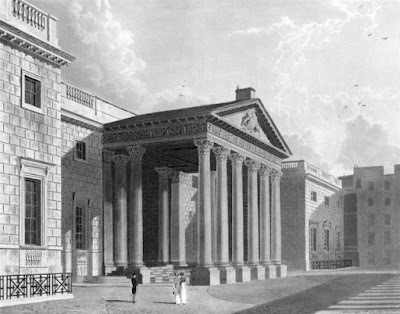 I too was always under the impression that the portico of the National Gallery was all that remained (architecturally) of Carlton House - it certainly looks the same. Wow! 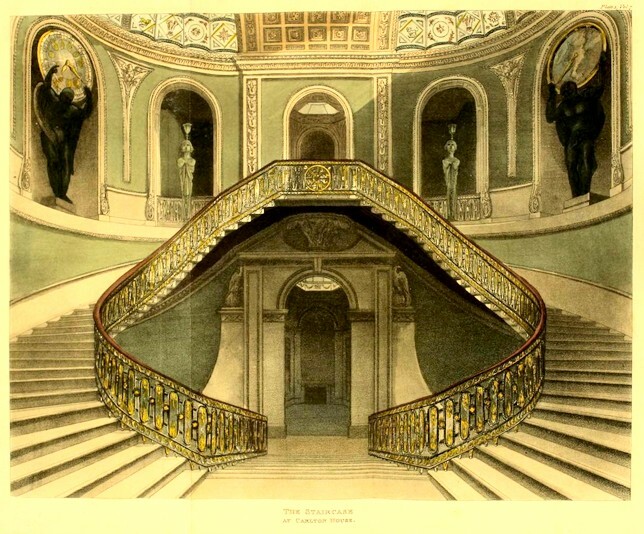 Amazing amount of research and gorgeous illustrations here in this post. 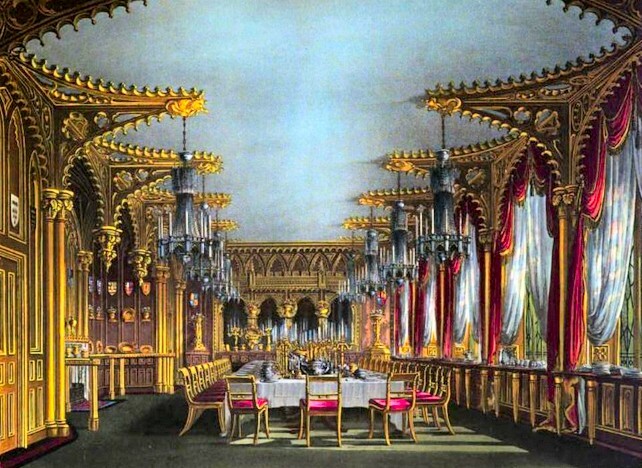 Thanks for sharing and for all your hard work. 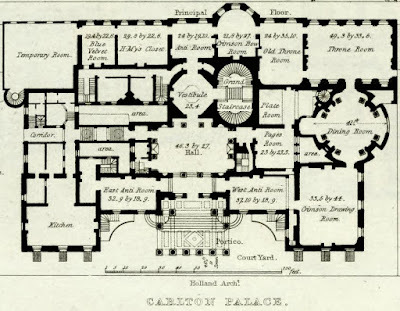 I'm reading Barron's "Jane and the Waterloo Map," and this article provides great reference points for Carlton House. Thank you for this! Very useful!